﻿"The flute player could really play." Ensemble 365's album Eastern Currents has been named a National Finalist for The American Prize for Chamber Music Performance in 2018-19. The second season of Parlour Room Sessions at the Brooklyn Conservatory of Music is going to be fantastic -- I'm thrilled to present performers Kristin Leitterman, Derin Öge, Anneke Schaul-Yoder, Skye Steel, Sugar Vendil, and author Amy Nathan in these intimate events, with chamber performances, audience Q&A, and reception. I've joined the faculty of the Music & Art department at CUNY Borough of Manhattan Community College AND the flute faculty of Juilliard's Music Advancement Program in Fall 2018 -- I'm thrilled to be working with so many new, talented, and inspiring students from so many walks of life! I was a member of the inaugural cohort of the CreateNYC's Leadership Accelerator program for New York City cultural workers in June 2018! 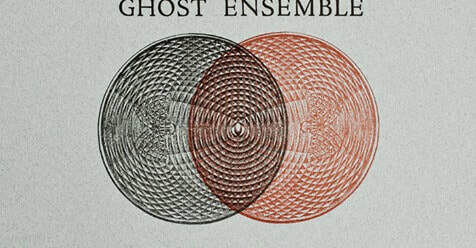 Ghost Ensemble's debut LP, We Who Walk Again, with works by Sky Macklay, Ben Richter, Andrew C. Smith, and Pauline Oliveros has been released on Indexical Records! Check out Brian Olewnick's review here. The CD is available on Amazon and iTunes and Spotify.